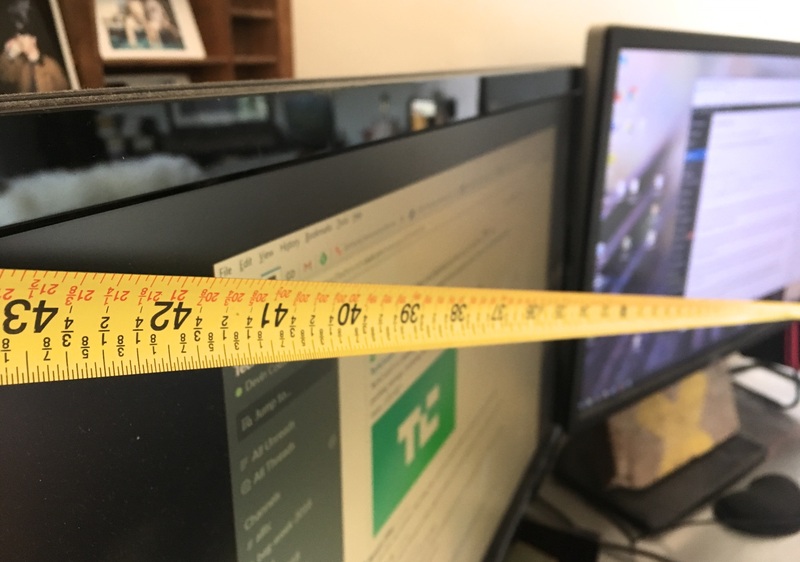 I’ve been working with an ugly but functional lopsided two-monitor setup for years, and while it has served me well, I can’t say the new generation of ultra-wide monitors hasn’t tempted me. But the truth is they just aren’t wide enough. Or rather, they weren’t. Samsung has just blown my mind with a monitor so wide it will serve as a ramp that you can trick off of in the summer. It’s so wide that when it puts on a pair of BVDs they read BOULEVARD. It’s so wide that the Bayeux Tapestry got jealous. Actually it’s a little less wide than a couple of the monitors Samsung announced at CES — but those had two problems. 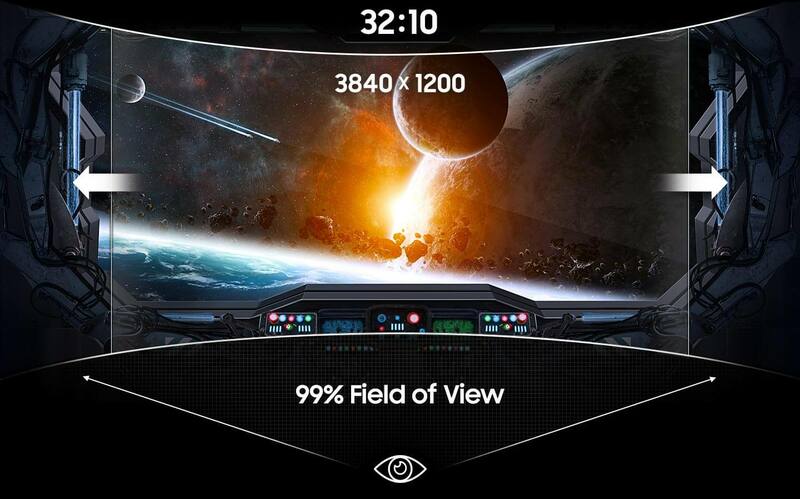 First, they were 3840×1080. And I just need more vertical pixels than that. Second, they were 49 inches wide. That’s a BIG monitor! Not just big, but with those pixels spread out that far, it’s not going to be sharp at all. One of the downsides of a giant monitor is that it can be a pain to separate workspaces or, say, have a movie playing “full screen” on one half while you browse Etsy for vintage kettles on the other. But Samsung has a “picture-by-picture” mode and some other useful features that help with this. So I’m going to give it a shot. It’s also got 120Hz refresh (though no word on sync tech), a bunch of USB ports, and even a headphone jack. I don’t know why you would want built-in sound on a thing like this, since you clearly are a media freak if you buy it, but they felt the need to add in speakers. The Samsung C43J89 monitor will cost $900 when it comes out, which admittedly is two or three times what I would normally pay for a monitor — I’m more of a Dell Ultrasharp guy, IPS all the way. But my whole workflow could change when this thing goes on sale.